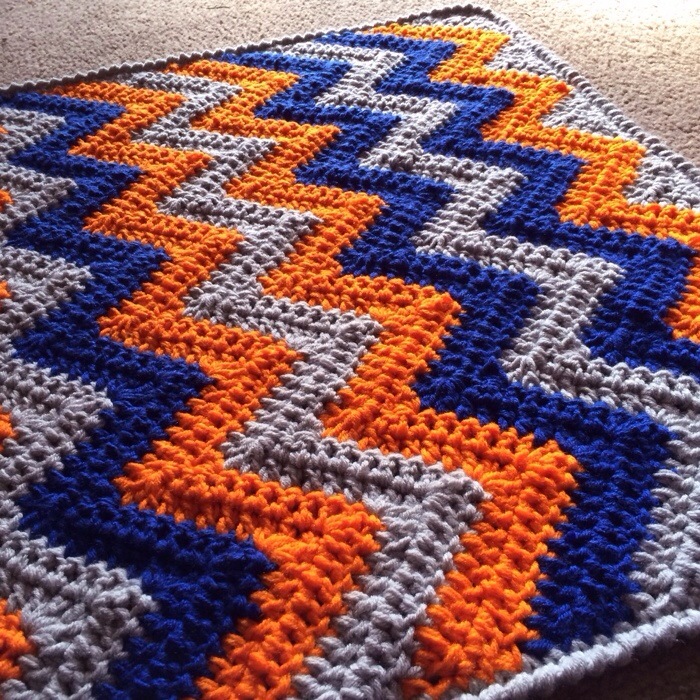 Keep your little one extra snuggly with this extra thick, contemporary chevron blanket in dashing royal blue and orange. What a dream this piece was to make. 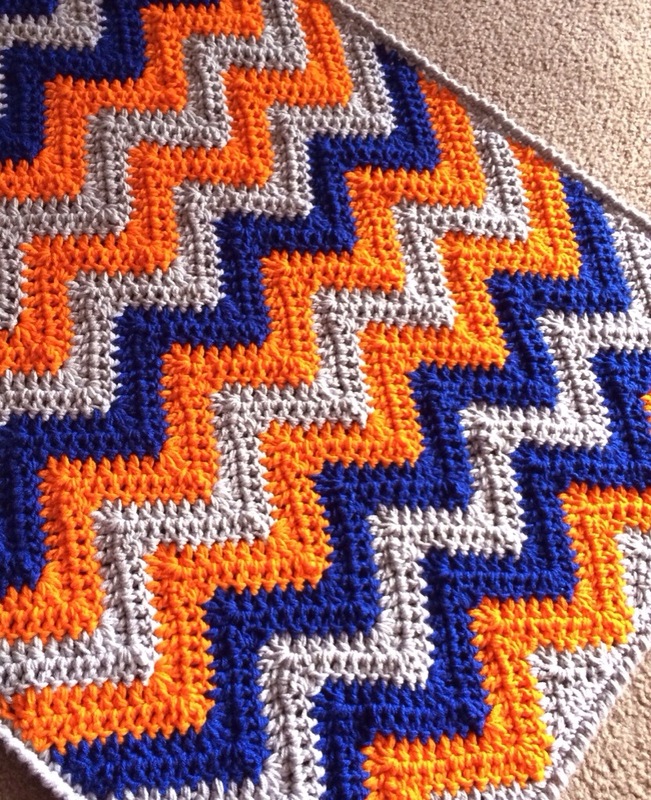 Double stranded suits this pattern very well. I used to offer “extra thick” (two strands of worsted weight) on all of my designs, but some of them just don’t work as well with the thick gauge. 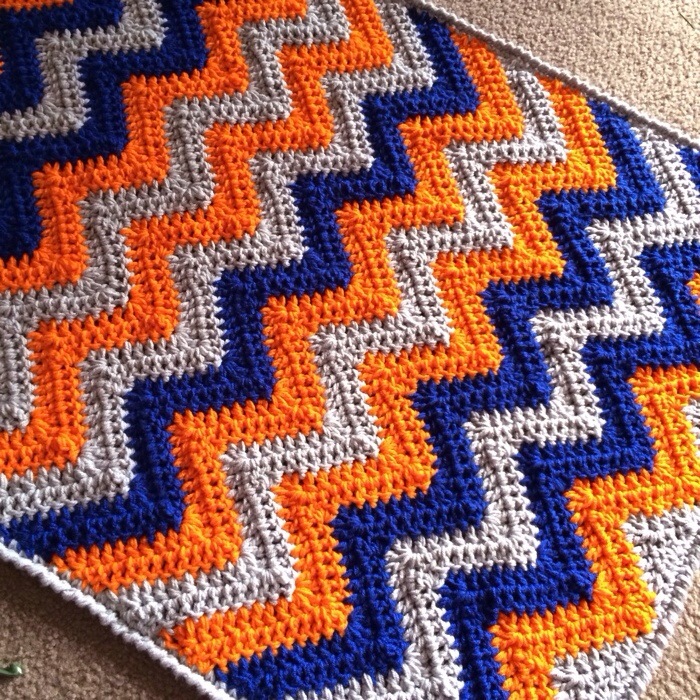 The Gumball and the Chevron work the best in case you are considering giving it a shot! I use a size 10.0mm hook. Here is a progress shot! I used the handy dandy Random Stripe Generator (link in sidebar) for the color sequence. And a couple more finished shots. 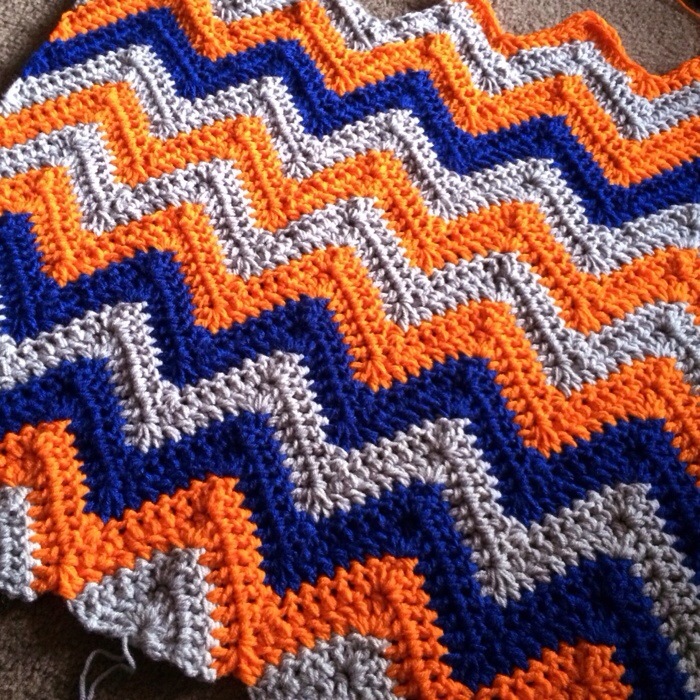 With this gauge, it takes me 32 rows to make a 42″ long blanket, which is 16 stripes of color. Just a few more days with the Christmas tree blocking out the majority of my sunlight! It was special having the tree up, but I am looking forward to having photo shoots bathed in gorgeous natural light again. 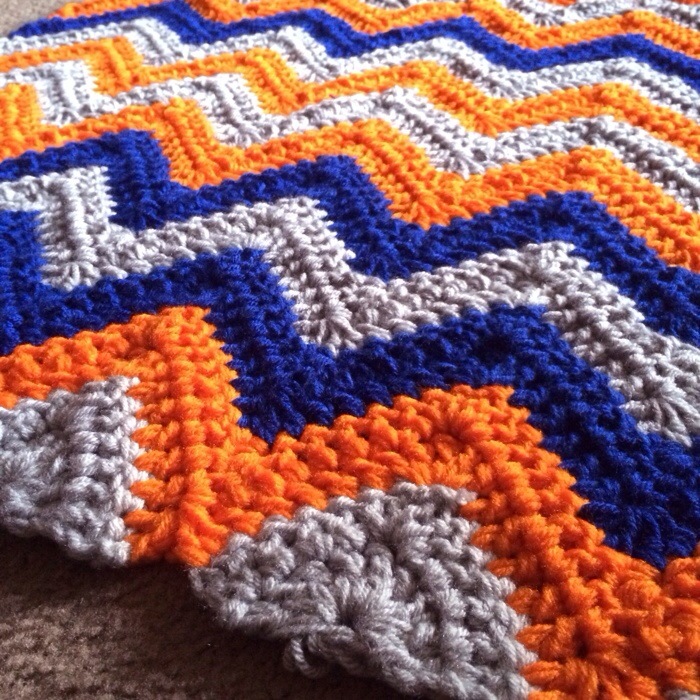 Posted in ChevronTagged Back and Forth, Blue, Crochet, Grey, OrangeBookmark the permalink.